Small timing spiral gear for crankshaft. Steel. NOTE. 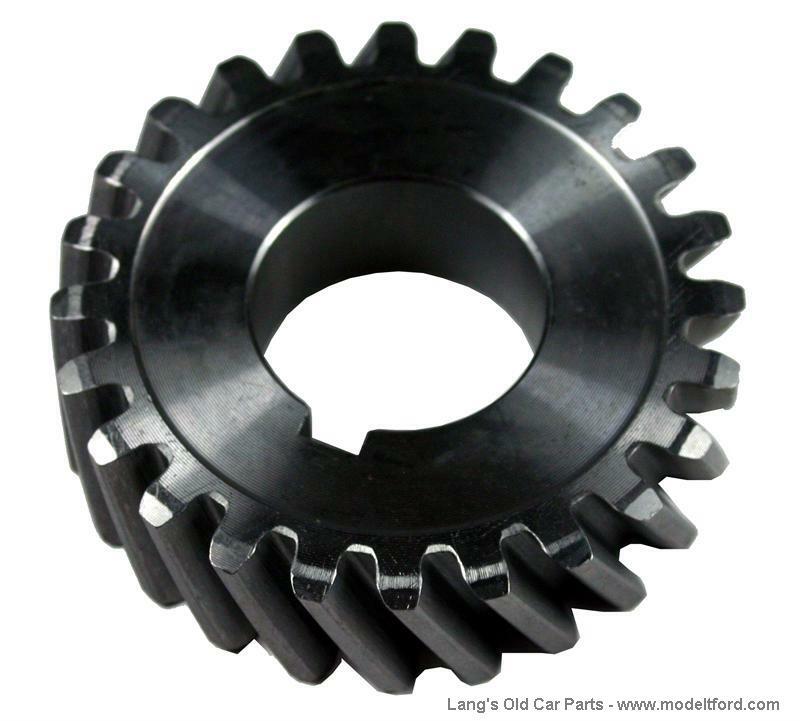 Cars without starters originally used straight cut gears. 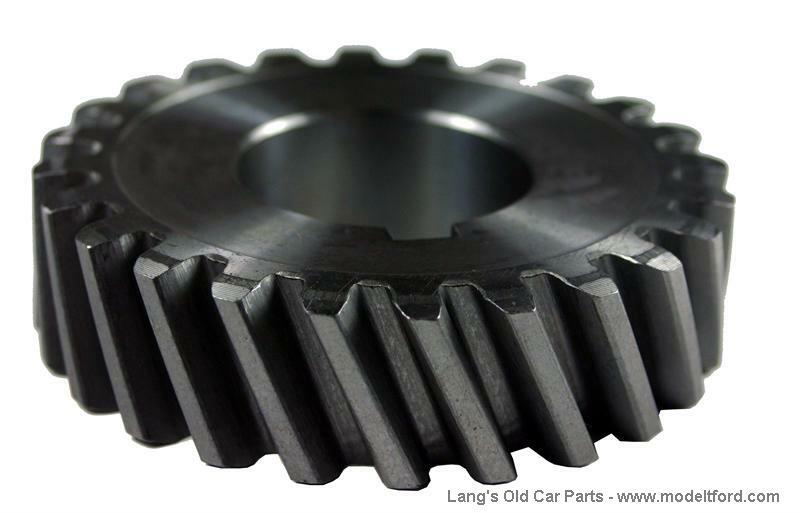 Be sure to replace both the small and the large gears with spiral style for less noise and improved thrust on cam.